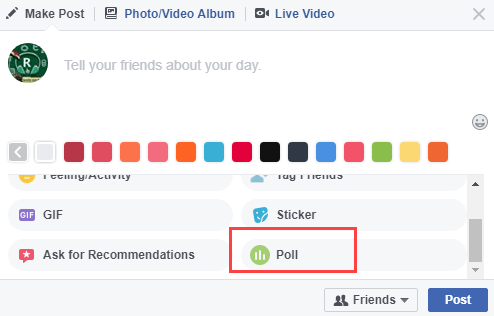 Like Twitter and Instagram, you can now create polls on Facebook, yes Facebook has just added this new poll feature. 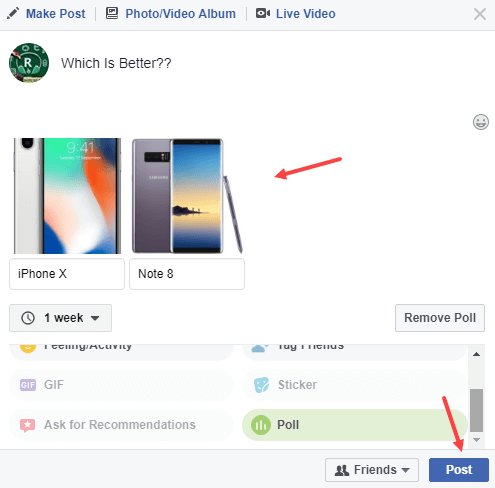 You can create Polls on the Facebook Website, Application to know what your friends, Followers have opinions about different topics. 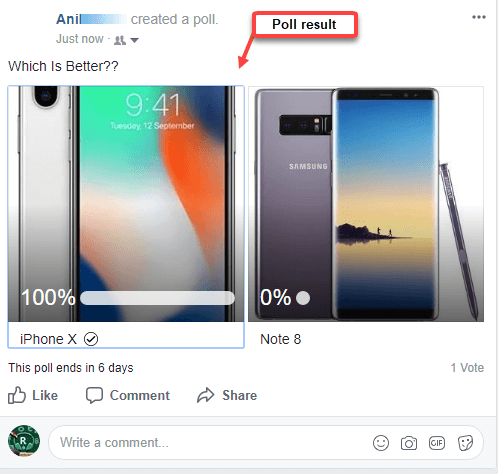 Poll feature is really helpful especially for those who want to know the opinions of their followers, for those who run a business page, this feature will prove to be very beneficial as they can directly connect with their followers. Facebook users can also share polls with their friends and take their views on different topics. 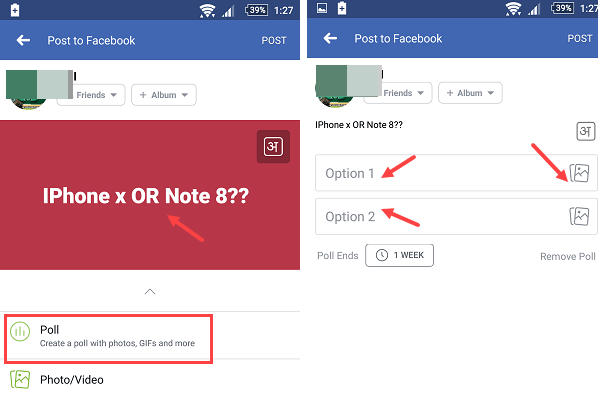 So let’s see how you can use Facebook poll. 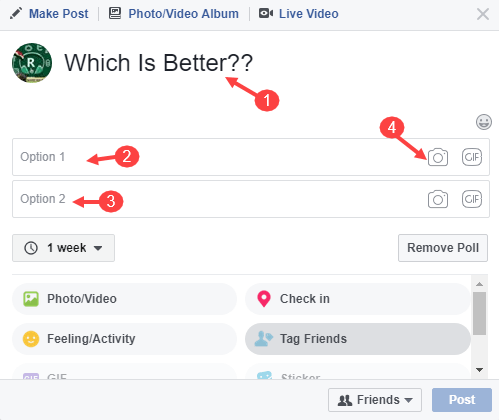 How to create poll on Facebook? 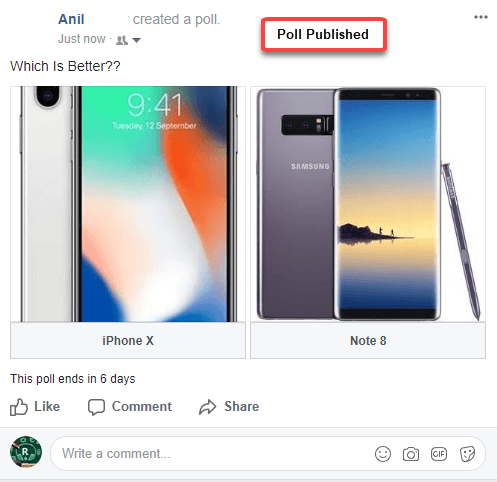 You can create and publish poll on Facebook website and application. 1 First, you have to click on Whats on your mind to write Status and here you can see the option of Poll at the bottom, click on it. 2 Now you have to create your poll in the next screen. You can also upload photos and also can choose GIF images. Also you can set expiry date. 3 Now click on post to publish your poll. 4 That’s it your poll is published now. 5 You and who joined the poll can view the result of poll in percentage. You can also post polls through facebook application. Tap on whats on your mind. Type your question in Poll or write the subject on which you want people’s opinion. Add images and GIF if you want.